Commercial towing can’t wait. 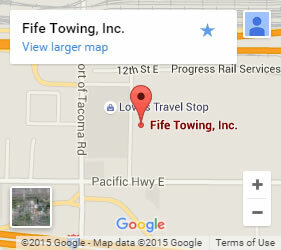 Fife Service & Towing understands the importance of getting to you quickly with service that is well-prepared for your specific needs. For more than 65 years we have offered the best commercial towing by certified towing professionals to the Puyallup area. We have the equipment, the experienced personnel, and the large fleet of vehicles to get to you fast. We handle everything from quick-fixes, like gas deliveries and lockouts, to complicated water recoveries and load-shift issues. Our professionals are dedicated to excellent service, which includes securing your cargo and doing everything we can to keep it in safe and in good condition. 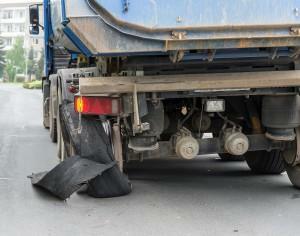 When needed, we have a storage facility where we can transport cargo until you are able to get your rig fixed. Whatever the situation, we get you, your commercial vehicle, and anything you are carrying off the roadside and headed back to your original destination. The care and respect we extend to our commercial towing customers is one of the reasons we are such a trusted name in the towing industry. From fast roadside assistance to detailed recovery work, our knowledgeable team brings their best to every situation. We understand that no one expects or wants to breakdown, get locked out, or run out of gas. We do our best to bring fast, efficient relief to at least shorten the time you spend in that situation. As a locally-owned company, we know how important business is. We use ours to help yours! Call now for commercial towing in and around the Puyallup area.